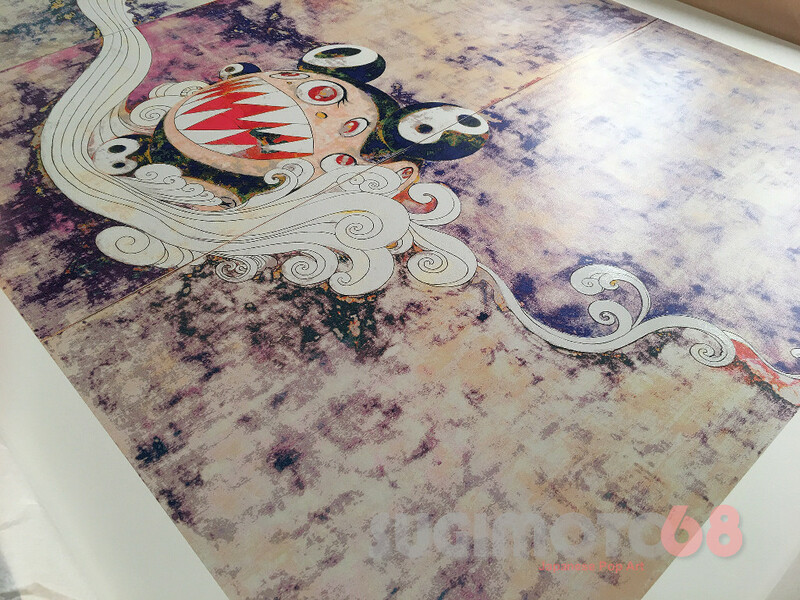 » The Murakami 727 silkscreen vs the 727 offset, what’s the difference?? Many inquisitive minds want to know, “what is the difference between the 727 silkscreen and offset prints?” A brief discussion of the various 727s appears here. This article teases out the distinctions between the 2003 727 offset and the 2016 727 silkscreen. When comparing the two prints, the contrasts in size and brightness immediately stand out. The silkscreen has a slightly larger image, and looks brighter than the offset. The silkscreen deep blues have a purplish hue and the mouth of Dob is a bit more cherry red. It’s sort of like the ‘Purple Cherry Haze’ version of the 727 offset. It feels like a ‘fresher’ version of the offset. Photographs help to tease apart the details that separate the prints. 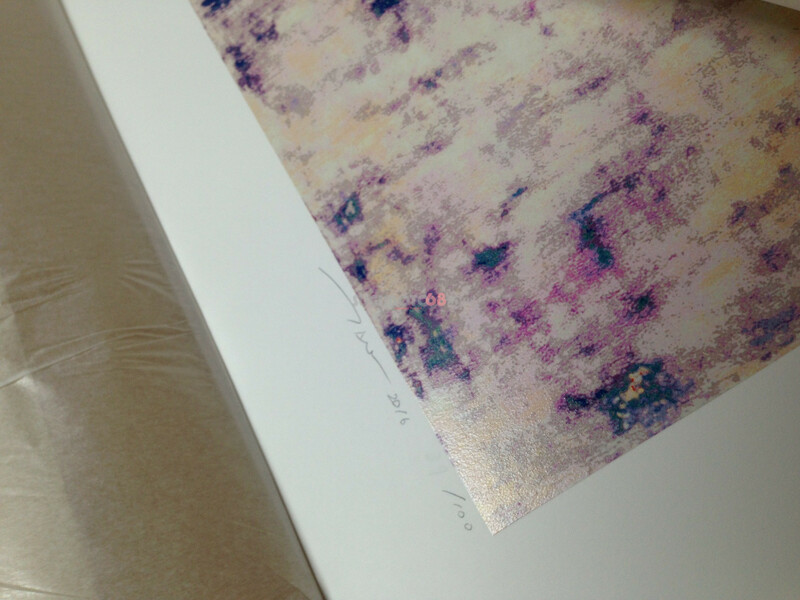 The margins on the silkscreen are much larger. (Silkscreen Image: 1000 x 670 mm, Sheet: 1100 x 770 mm; Offset: 998 x 656 mm.) The red is more stark on the silkscreen while the dark blues on the offset appear stronger. The yellow layer of the silkscreen dominates the peripheries of the silkscreen while saturating the dark blue to give a purple haze. At an angle that reduces the UV reflection, the offset looks a tad brighter but still not as bright as the silkscreen. Dob’s portrait displays the red contrast sharply—the brightness of the silkscreen’s red obscures the tongue detail, which appears a bit clearer in the offset. The red feels richer in the offset. In the silkscreen, the grey layer really serves as the backdrop, whereas in the offset, the grey has a more prominent place and gives the offset a more ‘worn’ antiquated look. While I prefer the silkscreen overall, the Showa era character of the Dob portrait on the offset surpasses the look on the silkscreen. The silkscreen Dob ears show a lot more of the yellow/gold hue. The silkscreen wave lines also look more striking as the white layer builds a strong contrast. The best part about a silkscreen—the visible layer of ink!! 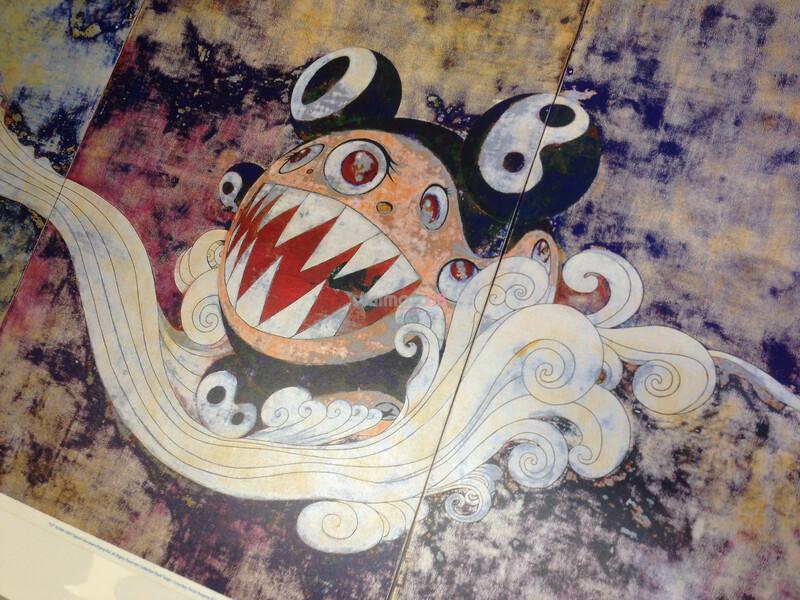 The silkscreen feels more like an original, and according to Murakami, in many ways it can be considered to be a type of original as his team of assistants use the same techniques to make his silkscreens. 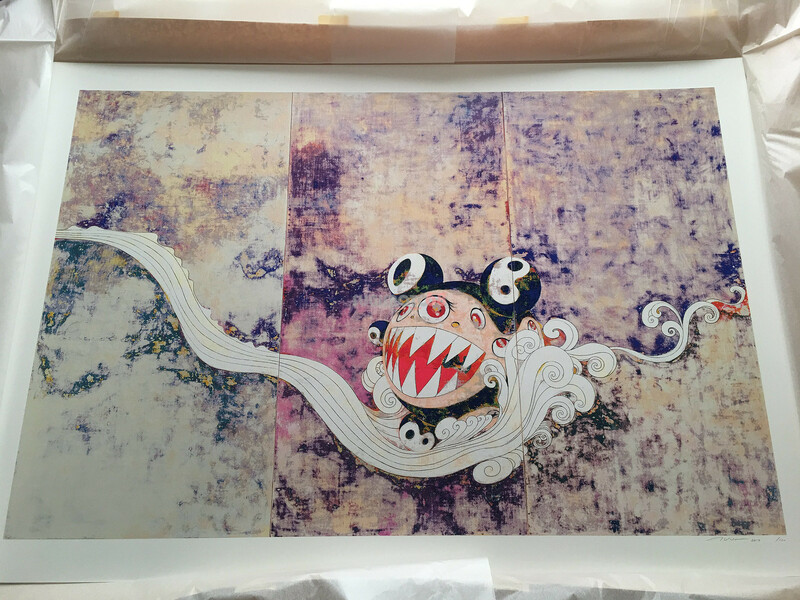 I consider a Murakami silkscreen to be an original for collectors on a budget. 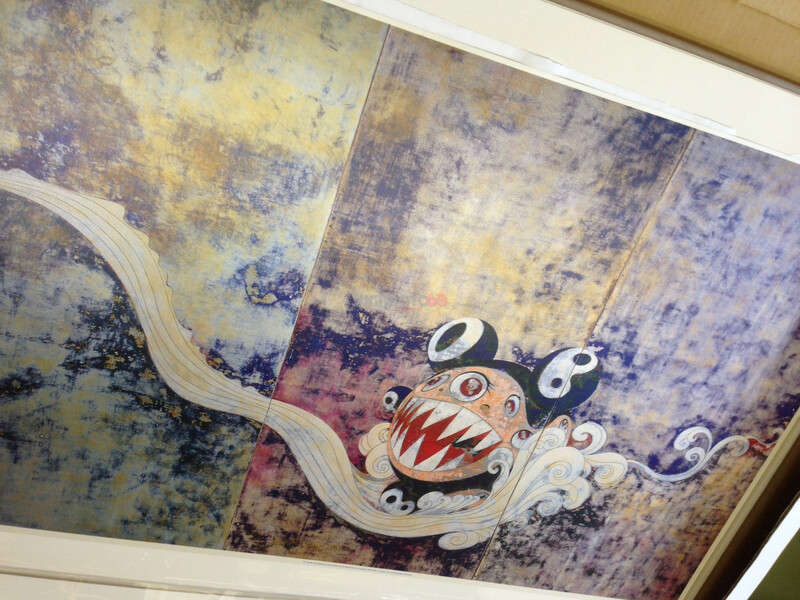 Murakami silkscreens are handmade prints that have the ink layered individually with screens. Offsets are printed by machine. When comparing Kaikai Kiki offsets and silkscreens with identical images, the silkscreen colors are sharper and brighter overall. Silkscreens are just better quality prints. 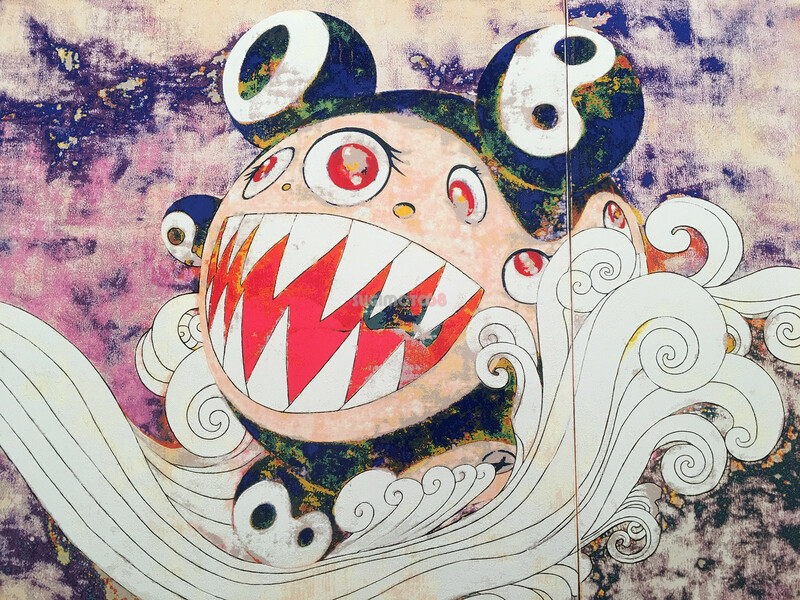 Also according to Murakami, the silkscreen processes for his prints resemble the processes he uses for his original art, since many of his originals are made by assistants using thousands upon thousands of silkscreen plates. Apparently a typical run of 50 silkscreen prints can take over 3 months to complete; so as a result, there aren’t a lot of Murakami silkscreen editions–and there probably never will be (unless he devotes his entire operation to silkscreens, which isn’t impossible for him). To date there are probably around 100 limited edition silkscreens in comparison to over 400 (and growing) limited edition offsets. Silkscreens average around 50 in a run, making about 5000 silkscreen prints in circulation in comparison to 120,000 (400 editions x 300 prints per edition) offset prints. 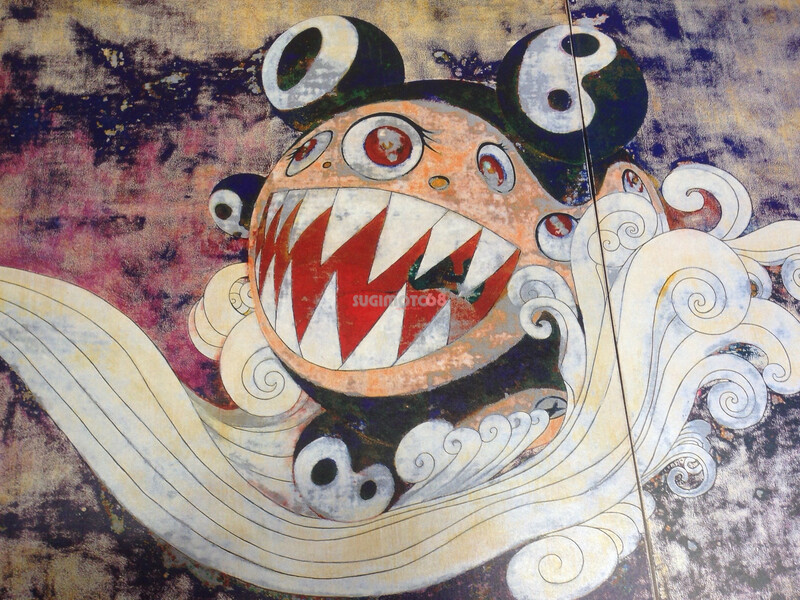 Clearly, Murakami silkscreens are rare relative to Murakami offsets. Workmanship and rarity account for the great difference in value between the Murakami 727 offset and silkscreen prints. 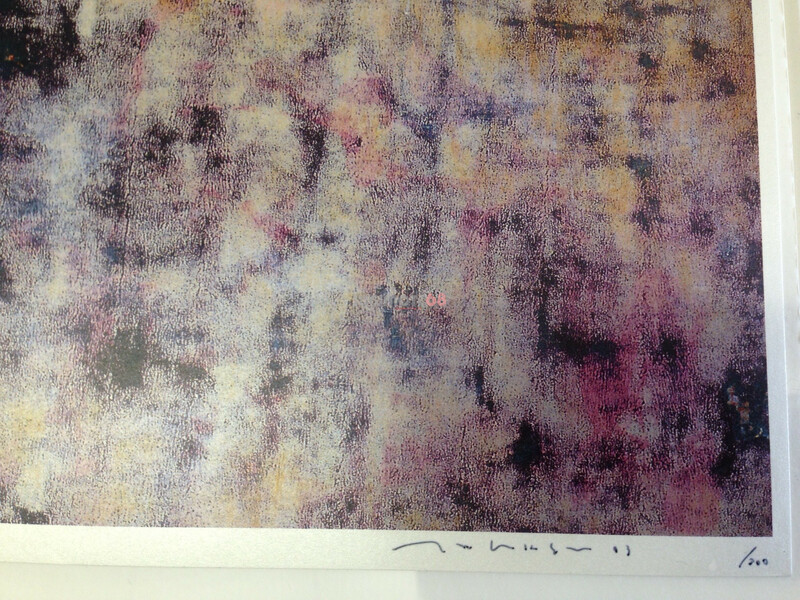 Insofar as a collector can afford a silkscreen, Sugimoto68 strongly recommends purchasing one, even if it means sacrificing the purchase of ten offsets. 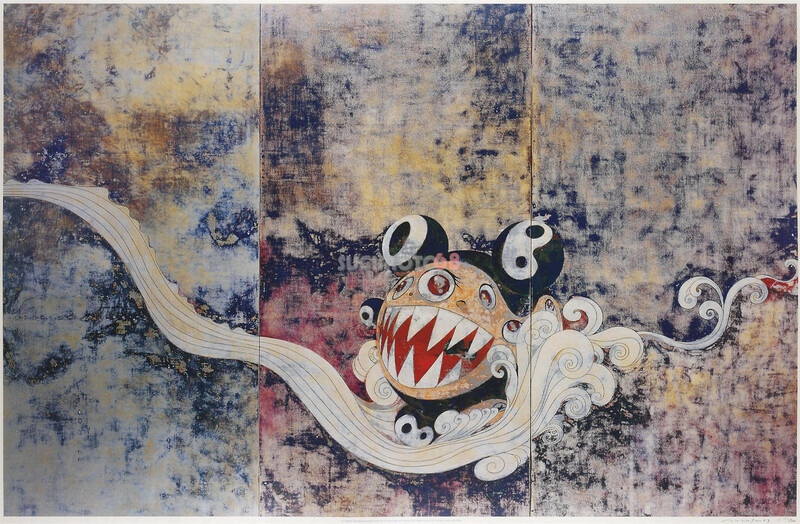 Silkscreens appear on the market infrequently and, from the perspective of the astronomical prices of Murakami originals, offer good value for the money. 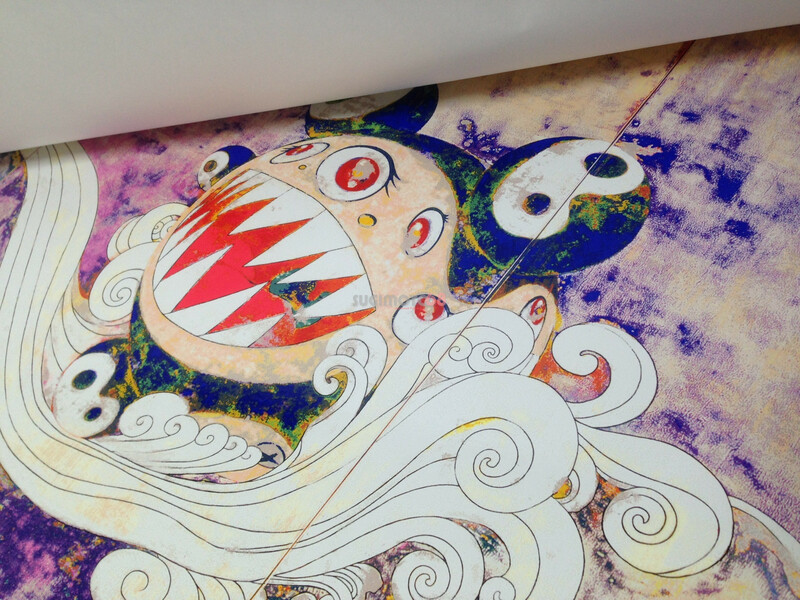 Start saving for your first Murakami Takashi silkscreen today! !